You can go all around the world and find mermaid stories. The earliest tales go as far back as around 1000 BC, in ancient Assyria. Christopher Columbus thought he saw some. PT Barnum claimed to have one, but it was just a hoax. And of course, millions of people see mermaids every day on their coffee cups! 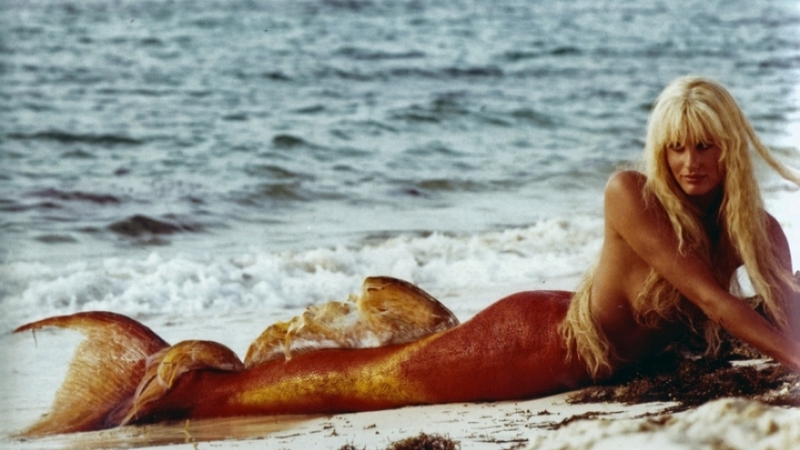 A chance showing on TV of the Ron Howard romantic comedy Splash, a favorite from my childhood, reminded me of another mermaid movie, one I hadn't seen: Mr. Peabody and the Mermaid. I doubted the latter was as good as the former, but I watched it on YouTube anyway, thinking it might be fun to compare the two. Well, I was right; Splash is better by a country mile. I believed the romance in Splash more. Tom Hanks, a young man, is set up as a lovelorn guy, someone convinced true love was out of his reach. Darryl Hannah seems like a dream come true to him, but of course, she's got a secret: she's a fish. When he finds out, he has to learn to look past that, and with effort, he does. In Peabody, William Powell meets Ann Blyth, the mermaid, as a much older man, a married one at that. For all his poetic waxing to her, he never struck me as going through anything more than a mid-life crisis, precipitated by his wife casually flirting with another man. Even when wifey goes conveniently missing, I never believed in Powell and Blyth as a couple; partly because of the age difference, which the movie, to its credit, doesn't ignore, but also because the wife, flirting aside, was a decent person, and Powell is not presented as a cad. Might've made for a more interesting movie if he was, but as it is, everything is milquetoast. There's some talk in Peabody of the ruts marriages go through, which cause the eye to wander. As if a mermaid wasn't enough, there's another young chick who catches Powell's attention. She's not a mermaid, but she sings a song and swims a little. Powell actually implies at one point he prefers a woman he can feel superior to - and along comes Blyth, who can't speak, knows nothing of the world, and is totally reliant on him. Again, if his character began as more of a sleaze, and his dalliance with Blyth made him realize he really loved his wife after all, I could buy that, but this movie is too slight to go in that direction. Hannah, by contrast, learns how to speak to Hanks on her own and was willing to give up her mermaid superpowers to be with him. She's a more active character than Blyth, and Hanks is way less paternalistic than Powell. ...the 36-year difference between [Powell and Blyth] did not really make for any awkwardness in the crush the mermaid and the man had for each other on screen, mainly because the crush was so innocent and so was the mermaid. For his part, William Powell strolled through his character's midlife crisis with the panache and bemused sophistication of The Thin Man [movies], with that sly humor that uses discretion as a springboard to irony. He's perfect in the role. 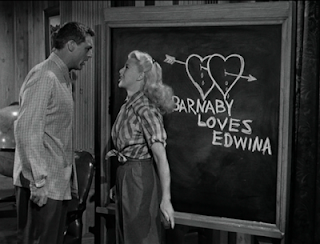 She calls Peabody an "offbeat charmer." 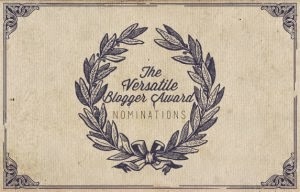 (Many behind-the-scenes pics at her post; take a look.) I was bored to death. It certainly wasn't as funny as Splash, which has lots of Noo Yawk character moments, plus it has the wonderful John Candy and Eugene Levy. Powell and Blyth fans should stick to his Thin Man movies and her musicals instead. This one's a little complex. Follow closely. ...Regardless of your position on Obamacare or on the 2016 election, the bigger picture here is how ponderous and self-reverential and sanctimonious our late night shows (and their hosts) have become. Can we get back to entertainment please? If I want political debates on candidates and issues, I’ve got plenty of cable channels to choose from. 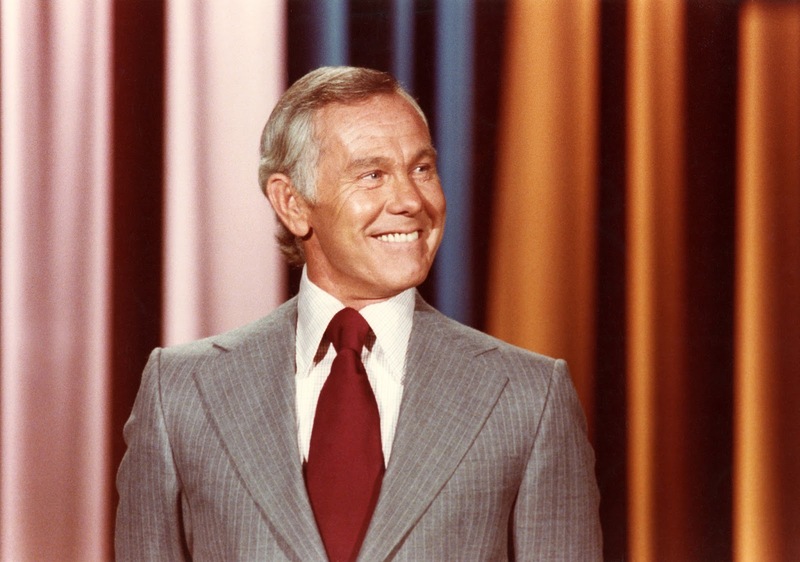 Last I checked, the network late night talk shows were supposed to serve a different purpose. I want a humorous and entertaining talk show at the end of my busy and complicated day. and I doubt I’m alone. However, in the post-Jon Stewart‘s Daily Show era, these hosts (or their producers and networks) have decided that it’s actually more important for a late night comedian to be important and relevant. In the immortal words of Casey Kasem: Ponderous. I wish they'd admit Star Trek: Discovery is set in the alternate universe. From what I saw of it last night, I don't see how this could match up with The Original Series beyond the most basic ways. Everything about this new show, the sixth live-action Trek series, looks and feels like the Bad Robot-produced Trek films: the ships, the look of the aliens, the cinematography, the damn lens flares! And did everything have to be so grim? In terms of story - what I saw of it, anyway, since we only got one half of a two-part story (thanks a lot, CBS) - I thought they jumped us into the action without letting us get to know the characters. 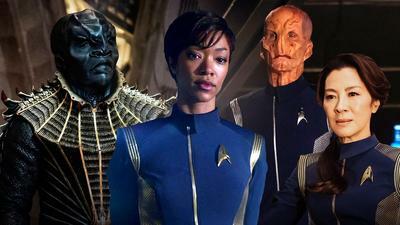 Compare this to the TNG-era pilots of the other shows and you'll see what I mean. 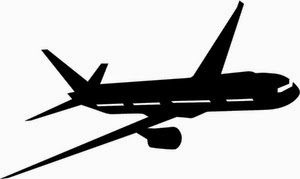 Those pilots had action to spare, but they also gave us a basic understanding of the cast. Then again, it wasn't clear to me which of the secondary characters, besides Doug Jones' alien, would be important. I had thought Cmdr. Burnham would go from the ship she was on with Michelle Yeoh to the Discovery and that's where we'd meet the rest of the cast, but clearly, they're doing things differently. I didn't even get to see Anthony Rapp! Was it me or was there way too much cutting? BBC America was showing a Trek marathon (TNG), so during commercials, I flipped to that. The difference is obvious: shots were sustained for longer than three seconds. It was easier to pay attention to what people were saying. Shots were composed in such a way (and this was true of TOS, too) so you could see where everyone sat or stood relative to each other in a room, on the bridge, wherever. You didn't need to cut to Guy With Funky Headgear or Cute Redhead or Anonymous Engineer or Robot(?!) to remind us they're on the bridge too. Sonequa Martin-Green as Burnham was fine. Raised by Vulcans? That's a clever twist. I saw the flashback of her on Vulcan as a child, learning how to think logically; I saw her talking to Sarek (how convenient that she knows an important TOS character), but I didn't catch how she ended up there. You'd think that's something they would want to make clearer. The argument is that Trek needed to get with the times. General television audiences supposedly demand a different storytelling method, that Discovery is Trek for the Game of Thrones generation. I might buy that, except Seth MacFarlane is putting the lie to that with The Orville. I know I said that show relies too much on knowledge of TNG-era Trek, but after watching Discovery, that's looking like less of a bad thing. Orville still hasn't found the right balance between humor and drama, but it feels much more like the Trek I remember, telling stories relevant to us in 2017, with clearly-defined characters. CBS can keep their pay-per-view Trek. I'm not sure I'll miss it. Bibi and I talked about Discovery afterwards. She didn't like it either, and neither did Eric (he said it wasn't science fiction). She liked Doug Jones, but she thought they got the Vulcans all wrong - they fired first because that's how you deal with Klingons? Yeah, that didn't make sense to me either - nor was she that crazy about the Klingons. Again, I'd buy it if this was the alternate universe, but if they're gonna insist this is the prime universe, I can't go for that (no can do). I'm sorry, but I didn't get this movie. 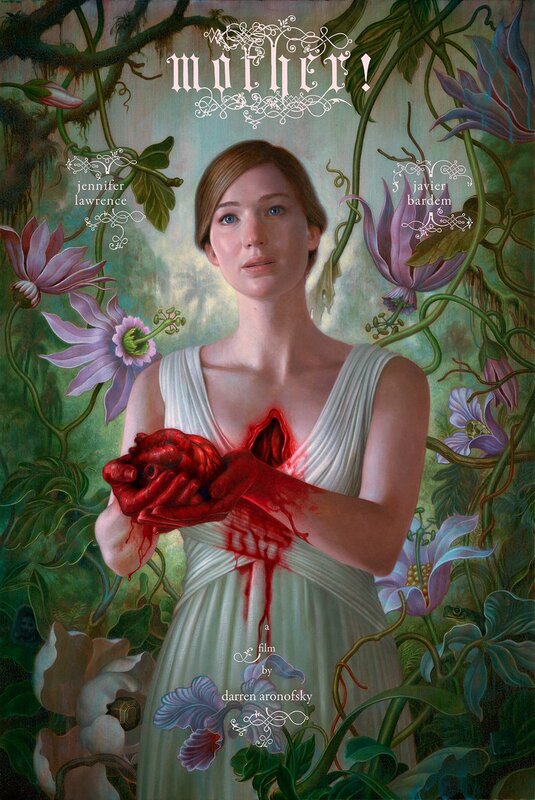 I understood that Darren Aronofsky was going for an allegorical kind of story, that what was presented shouldn't be taken literally (how can it? ), and given a second or third screening, its true meaning might become clearer (the perils of the creative process, is my best guess at the moment), but I'm not sure I wanna sit through two more hours of watching Jenny Lawrence going through what she goes through. I mean, I could describe it as "Married couple in isolated house receive strange visitors," but that doesn't begin to describe the crazy. I will say it felt a hell of a lot like a Lars von Trier movie. That's either a compliment or an insult, depending on how you view him. I went into this one blind, like I did for Scorsese's Silence last winter, thinking I didn't need to know any more than the director and the stars (it was good to see Javier Bardem again), but maybe I should reconsider doing that for awhile! I will avoid reading about it until after I post this, in order to keep my impressions fresh. I reserve the right to amend this at a later date, though. I still remember how shocking it was when Heath Ledger died. The widely-held belief at the time, which has persisted for years, was that his role as the Joker in the Batman film The Dark Knight somehow drove him nuts, that he took the role of the psychopathic thrill-killer too seriously, and this led to his death from drug overdose at the age of 29. Indeed, this perception may have led to his posthumous Oscar win. A documentary was released earlier this year, made with his family's support, that disputes this belief, but one suspects it will forever be a part of his legend, that it will cling to his memory like a shadow. It simply makes for better copy. In my limited experience in acting, I was taught to find an emotional truth that you can bring to your role, to inform your character. 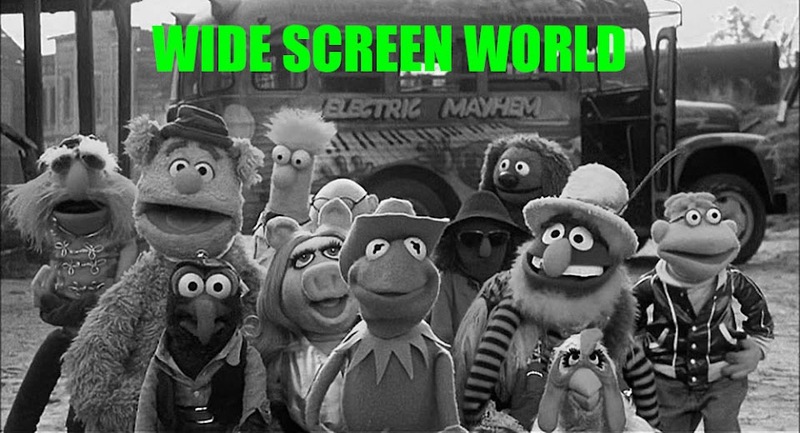 I remember trying to do that, though it was never for more than a scene or two in class. If I were to try it for the length of a play, well, I can only imagine what that might be like. I suspect it's difficult to draw upon that emotional well for an extended length of time and not have it do something to your head. 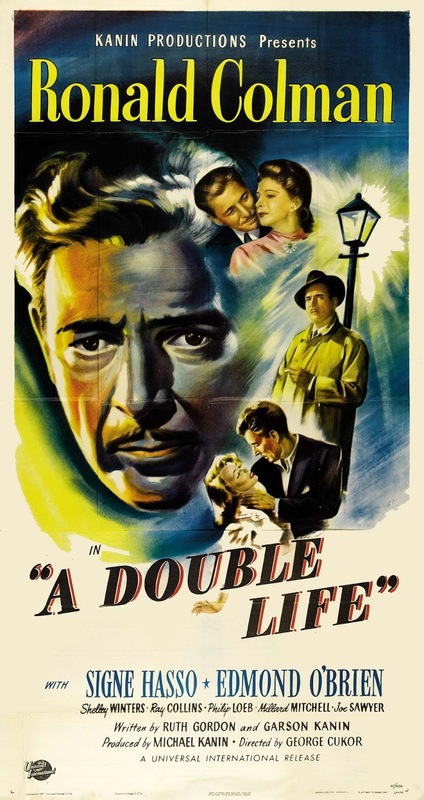 This is the subject of A Double Life, the George Cukor film written by Ruth Gordon & Garson Kanin about theater acting, featuring Ronald Colman in his Oscar-winning role. This was one of the most unusual Old Hollywood films I've ever seen. 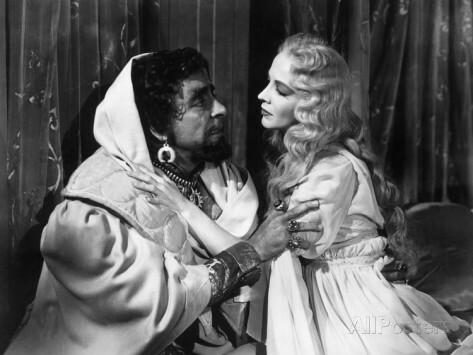 Colman literally did two movies in one: the story of Tony, the Broadway thespian and his descent into madness, and Othello, performed on an actual stage in front of an actual audience, with makeup, costume, sets and everything. Cukor and the Kanins sought to immerse us in the life of the theater; we see big chunks of the Othello play, but we also see random audience reactions during key scenes, something you don't see often. Colman gives a great monologue about theater acting, set to a montage of behind-the-scenes preparation. Also, the film takes its time to get going. 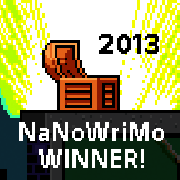 It feels more like a character-driven story than a plot-driven one. Tony takes the role of Othello reluctantly, as if he knows he shouldn't get too close to it. 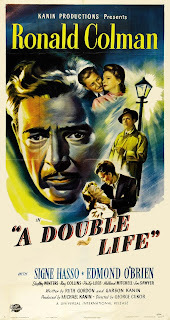 Events in his personal life begin to resemble the play, but even before they do, we see him thinking about the role, letting it get under his skin (which we're led to believe is not necessarily a bad thing), even causing him to have an illicit affair with Shelley Winters. He doesn't come across as peculiar or emotionally disturbed at first, but then, Ledger probably didn't, either. I don't wanna draw too many comparisons between this fictional character and Ledger, especially since no one really knows what he was thinking while he filmed The Dark Knight. His family insists playing the Joker didn't mess with his head; fine, but something did, or else he'd be alive now. Life makes clear the role of Othello did screw with Tony, but something within him made him susceptible. That is less clear. Maybe it can't be known. Why does anyone succumb to mental illness? Life is so unlike Cukor's other work in terms of subject matter and characterization, one wonders why he, or the Kanins, for that matter, didn't do more work in this vein. Maybe it hit too close to home? Movies about life on the home front during World War 2 are of great value to us today in terms of seeing how the average American adjusted to wartime conditions: rationing, buying war bonds, planting victory gardens, that sort of thing. Watching fathers, brothers, sons and friends ship off to another country to fight must have been harrowing, but one gets a sense that those left behind knew their loved ones were giving their lives for a just cause - unlike today, when the reasons for going to war are less clear-cut. A modern viewer may need to put any cynicism aside when watching these movies and consider the time in which they were made. 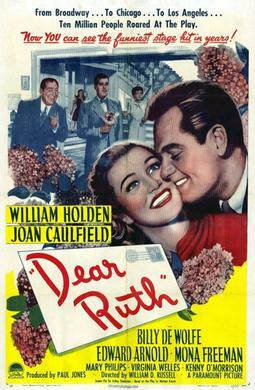 Early in his career, William Holden made a homefront movie called Dear Ruth, based on a hit play. The premise stretches credibility a bit: political activist teenager starts a pen-pal relationship, in the identity of her older sister, with a soldier overseas. When he comes to town on leave, he's eager to meet his correspondent, but of course, it's not who he thinks it is. No one wants to let him down, though, because he is a soldier in the war, so older sister maintains the ruse, to the chagrin of her fiancée. I admit, I did not follow my own advice; I failed to turn my gimme-a-break-o-meter off. The highly idealized family presented here may have had little resemblance to reality, but in 1944 (the year the original play came out), the audience likely saw a model American family doing their patriotic duty by supporting the war and the troops. Yes, the little sister is really fanatical about it, doing things like wearing a beret in support of France and volunteering her parents as blood donors, but that was the mentality everybody was expected to have, because this was a war that had to be fought, no question. That's hard to truly understand from the perspective of someone who grew up after Vietnam. As a story, though, I didn't buy it because I couldn't understand why Miriam, the little sister, felt the need to use Ruth's name. (The Biblical names held no significance as far as I could tell.) Was she scared? She didn't come across that way. Did she think Ruth was lonely and needed a man? Ruth already had one, and she was going to marry him. Did Miriam make a mistake? She made it clear it was intentional. So I don't know what it was. Plus, the fiancée kinda got a bad break. He had a right to be mad about Ruth keeping the deception up, yet he's kicked to the curb in the end for no good reason - by the father, no less. Ruth really seemed to love him in the beginning, but he's not William Holden, so he gets shoved aside. A title card in the beginning sets Dear Ruth in "a suburb of New York," but I was pleasantly surprised to discover this actually takes place in Queens! A delivery man refers to the address in Kew Gardens. Plus, people actually take public transportation - trains and buses - so it's not like this is somewhere out on Long Island. I guess anything that wasn't Manhattan was automatically "the suburbs" back then. Whatever. The current mayor of New York is Bill de Blasio. If Tuesday's primary results are any indication, he will likely get re-elected this fall. He has done a lot of good for the city, but he's far from perfect. I'll need a really compelling reason to vote for him again and at this point I don't have one. De Blasio was originally elected on the strength of his "One New York" campaign, which he has developed into a multi-part plan designed to make the city more equitable and sustainable. It's very ambitious and progressive and forward-thinking on paper. I'm not saying such goals are impossible to achieve. It doesn't help matters to still be part of a country currently run by a greedy, selfish, vulgar embarrassment who perverts the ideals on which America was founded on a daily basis. I believe De Blasio does the best he can. The day-to-day reality, however, is dramatically different from the ideal. I rely on a broken transportation system slowly failing the people it serves at the expense of the auto-driving minority. Friends are being priced out of their apartments and studios as the city becomes more difficult to afford. People playing their cell phones without headphones and smoking in parks and plazas makes me believe they just don't know how to behave. A unified New York is a nice idea, but it relies on the same people who make living in this city a back-breaking, get-on-my-last-nerve chore. I'm no different, though I try to compensate. I don't litter. I educate my friends on transportation issues in our city from time to time. I sign petitions. Once in a while I volunteer for stuff. I do what I can. I could do more. Anyway, earlier this year, the One New York program did this promotion in which New Yorkers could choose a book to read from among five candidates. Now they've done the same for the movies. 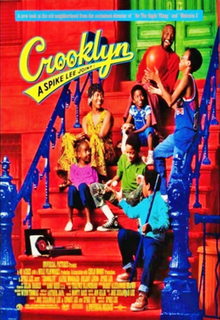 Spike Lee's 70s family dramedy Crooklyn was the winner from a field that included Scorsese's New York New York, the Gene Kelly musical On The Town, the Madonna flick Desperately Seeking Susan, and Ang Lee's The Wedding Banquet. (No Woody Allen? Shocking!) I had voted for On the Town because I really wanted to see it on a big screen. I had thought Scorsese would win. Shows what I know. 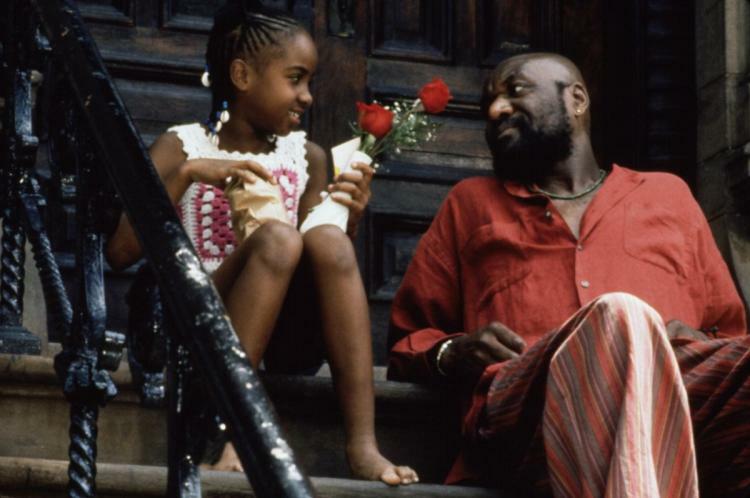 Crooklyn played on Wednesday, the 13th, in theaters and outdoor venues across the five boroughs. I had thought about going to the Bronx or (gasp!) Staten Island to see it, but in the end, I simply didn't want to be hassled with the commute, especially with SI, since both venues were pretty far from the ferry terminal at St. George. The Kew Gardens crowd was fairly big, but it played in one of their smaller rooms, so maybe it only looked big. I had seen Crooklyn several times before. How refreshing it was to watch a re-creation of a time where people interacted with each other without a cell phone in sight! 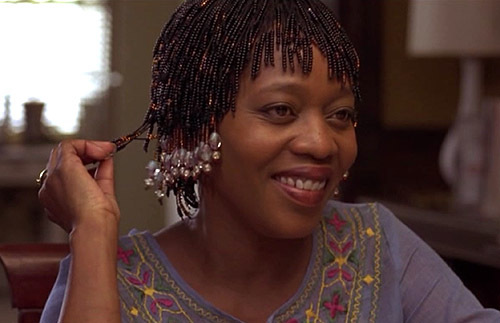 Alfre Woodard looked beautiful. The brownstones of Kings County were as authentic as I remember them from when my high school girlfriend lived in one. Most of the 70s pop cultural touchstones weren't that familiar from my childhood, but I certainly remember living with a sibling and fighting with her all the time, as well as similar experiences, good and bad, with my parents. This was a good choice. By the way, Zelda Harris, the young girl who was the focus of the movie, didn't go on to much, other than scattered TV appearances and a role in another Spike joint, He Got Game. Pity. She was good in this one. Paddy wrote last week about Monkey Business, the Howard Hawks film with Cary Grant and Ginger Rogers acting like little kids and monkeys running around causing all sorts of trouble. In the comments, I mentioned something that occurred to me about this Old Hollywood flick I didn't think of when I wrote about it earlier this year: the caliber of talent involved, on both sides of the camera, is way too good for a movie like this. More to the point, if it had been made today, chances are it would be strictly for the peanut gallery. It probably wouldn't be helmed by an A-level director such as Hawks, and the only way superstars like Grant and Rogers would appear is if it were animated. This is speculative, I admit, but look at the comedies made by the superstar actors of today. 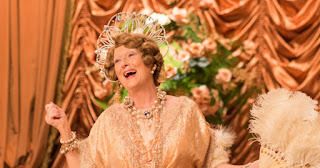 Meryl Streep makes Florence Foster Jenkins, a film about a high-society dame who aspires to be an opera singer, but totally can't sing. Tom Hanks makes A Hologram for the King, based on a capital-L Literary work by a major best-selling author, Dave Eggers. George Clooney makes Hail Caesar!, a movie notable as much for its evocation of studio-era Hollywood as anything else. Sandra Bullock makes Our Brand is Crisis, a picture with strong political themes. 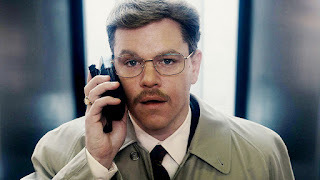 Matt Damon makes The Informant!, a brainy satire from an acknowledged auteur director, Steven Soderbergh. Movies like these, regardless of quality, have a patina of... class, for want of a better word, to them. 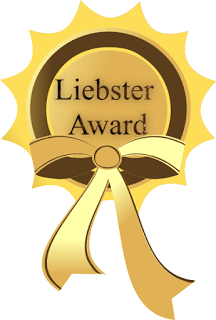 They're meant to be funny, but they also have higher aspirations; usually, they're the kind made of gold or silver and are mounted on pedestals and are prominently displayed on shelves. Often, these kinds of comedies are made at smaller studios. They rarely make as much money as movies by Will Ferrell or Melissa McCarthy, "legitimate" comic actors who aren't afraid to engage in "low" humor... such as a movie with a monkey. Is it possible that once certain actors achieve a certain level of prestige, they turn their backs on low comedy? Hanks appeared on a weekly TV series in drag and made goofy comedies like Bachelor Party and Dragnet before he started winning Oscars. Will Smith starred in an equally silly, fish-out-of-water TV show before he became Mr. Action Hero. Remember when talk show hostess Whoopi Goldberg made movies like Jumpin' Jack Flash and Burglar? I can't say this trend bothers me much; this is more of an observation than anything else. Modern movie stars will gravitate towards the kinds of films that appeal to them (and that will make money, too; let's not forget that). Voice-over work in animated films is a safe way to get in touch with their goofy side, but that's not the same thing. Ultimately, making a fool of yourself in front of a camera is an act of bravery. Not everyone can do it... but hat's off to those few who can. ...and now he has a new, live-action series that's a clear homage to Star Trek - specifically, The Next Generation. 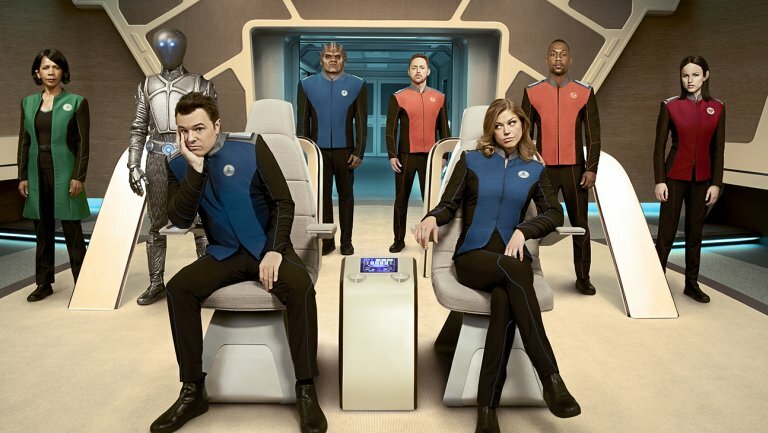 The Orville is especially appealing to me, given the fact that the actual new Trek series, Discovery, will only be available as part of a pay channel. Therefore, I've been regarding it as something of a substitute for the real thing, fair or not. Plus, it's episodic; no worries about following season-long story arcs like every other show on TV now. A big plus in my book. If you've read anything about The Orville, you know the premise: MacFarlane finally gets to command a starship, but his ex-wife is his first officer. Adrianne Palicki plays his ex, and there is, as you'd expect, the requisite amount of bickering in between the missions to strange new worlds, alien invasions, high-tech macguffins and so forth. It was amusing to see such familiar problems in such an unusual setting. I was reminded of the TNG episode "All Good Things...", partially set in a future timeline in which Picard and Crusher have married and divorced, only they, of course, were a little more grown-up about the whole thing. I imagine over the long haul (assuming the show lasts; this is Fox, after all), we'll slowly see Ed and Kelly's relationship thaw, then heat up again. The sci-fi geek in me, though, really wishes this didn't look so much like TNG: the Worf character, the Data character, the holodeck, the replicators, the Federation, the ships, the uniforms, the music, etc. I know The Orville has lots of Trek alumni on both sides of the camera (including DS9 supporting player Penny Johnson Jerald as the ship's doctor), but that doesn't mean they have to hew so closely to the Trek model. Jokes and bickering aside, I would've liked to have seen some fundamental difference in the setting, something that doesn't take for granted the audience's familiarity with TNG. That said, The Orville was fun to watch: not terribly demanding, angst-free, with likeable characters. It's nice to know television is still capable of making this kind of stuff. A Letter to Three Wives was on my wish list for a long time, so I'm happy to have finally seen this one. 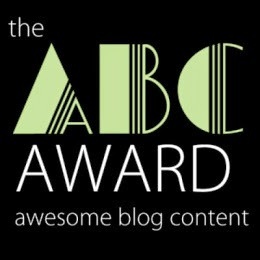 It's a good premise, with an even better storytelling method: the titular letter is from Addie, the gal pal of the three wives, which says she's been having a secret affair with one of their husbands and she just ran off with him. The rest of the movie is like a whodunnit: through flashbacks, we get a closer look at the three marriages and how Addie figures into their lives, but get this - we never actually see her. To top it off, Addie is the one who narrates the movie! 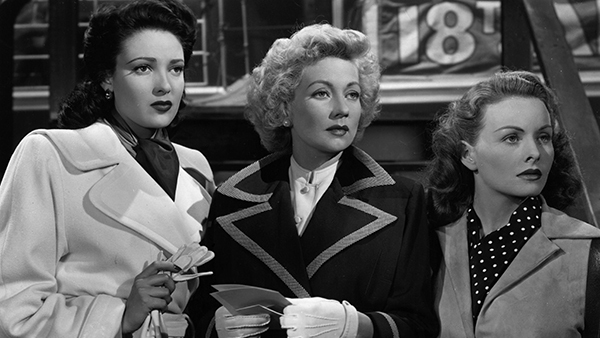 Letter is another smart and lively drama about women and men from Joseph Mankiewicz. As such, I couldn't help comparing it to his masterpiece, All About Eve. The biggest difference is that Eve is way bitchier. There is no Addison DeWitt equivalent in Letter, for one thing. There are fewer betrayals and double-crosses. Most importantly, as capable as the three leads are overall - Jeanne Crain, Ann Sothern and Linda Darnell - none of them are Bette. That said, Letter has merits of its own. 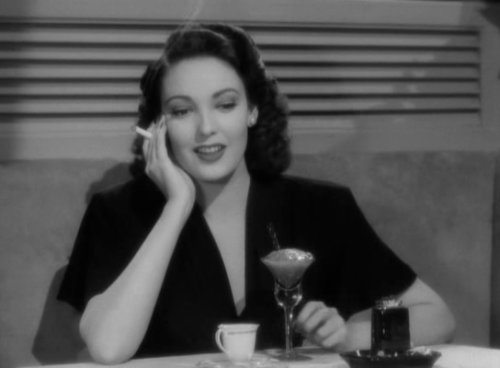 I remember Darnell from No Way Out (another Mankiewicz film) and Unfaithfully Yours, but she really stood out here. She married into wealth, a calculated decision on her part to lift herself and her family out of poverty. Her hubby, Paul Douglas, is totally hot for her, but she won't let him get at her unless he puts a ring on it, but once he does, that leads to other problems. Darnell goes from femme fatale to bickering housewife; hers may be the deepest of the three lead roles and she carries it off well. 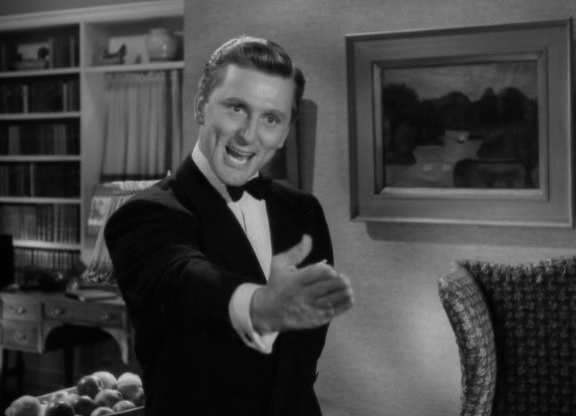 Kirk Douglas was a star on the rise prior to Letter; I think it's safe to say audiences of the day were familiar with him by this point. He's Sothern's husband here, and his is a meaty role: a teacher who's made to feel inferior because Sothern, a radio show writer, makes more money, puts on airs for her patrons and expects him to do the same. He has a great speech about the evils of advertising that, with a few minor changes, could've been written yesterday. There's also a bit of an anti-intellectual bias against him I found peculiar. It was as if being a teacher was a job that should be beneath him somehow (because he's a man, perhaps? 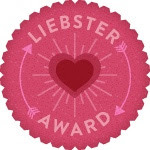 ), but because he takes pride in his work and is a little better educated than his friends (just a little; it's not like he's a Nobel Prize winner), his wife and friends look at him funny. 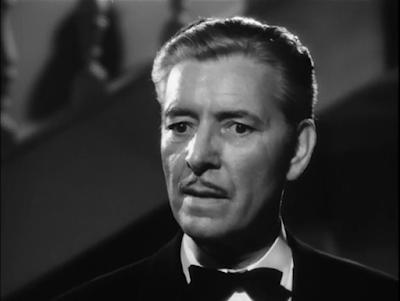 It's not unlike the way Ronald Colman's character is regarded in The Talk of the Town. Different times. I was least interested in Crain's character, a farmer's daughter turned naval officer who clearly loves her man, Jeffrey Lynn, but initially, she was freaking out about making a good impression on his friends when they first met. 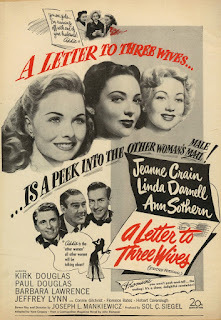 I couldn't quite buy it somehow; her problems seemed less urgent than those of the other two wives, and Crain didn't strike me as that strong an actor compared to Darnell and especially Kirk Douglas. 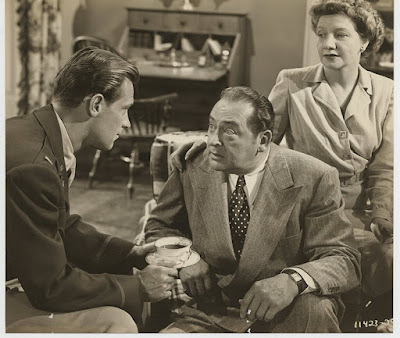 Without giving away who the mystery philanderer is, I will say the film does a fake-out at the end; you think it's one guy, but it turns out to be another. He then reveals he started to run away with Addie, but he changed his mind. This is where the film's gimmick broke down for me. I think we needed to see [SPOILER] with Addie at the end, to see him commit and then decide no, it's not worth leaving his wife. To have him say it after the fact wasn't quite enough to sell me. I suspect the desire to tie everything up neatly and have a happy ending got in the way of telling a stronger story. Regardless, I liked this movie. A word about my girl Thelma. The more I see her in films like this, the more convinced I am that Hollywood did her a great injustice by not letting her become a leading lady. Seriously, friends and neighbors, can you doubt for one second her ability to carry an entire film based on what we see of her here, and in Eve, Rear Window, Pickup on South Street, etc.? I feel like a golden opportunity was lost. Still, what we got of her was superb. Mankiewicz eases us into the flashbacks in a weird way: a line from the lead actresses is echoed and mixed with a sound effect to produce a peculiar, synthesized noise, not quite voice, not quite sound. I thought I imagined it at first, but it's definitely there, for all three flashback scenes. (Sound on Letter is credited to Roger Heman Sr. and Arthur von Kirbach.) I'm not sure how much it adds to the story - my inclination is to think it calls more attention to itself than perhaps it should - but from a filmmaking perspective, it's impressive for 1949. Finally, as a New Yorker who remembers their 80s TV commercials with fondness, I got a chuckle out of hearing a radio ad for a company called "Crazy Eddie." 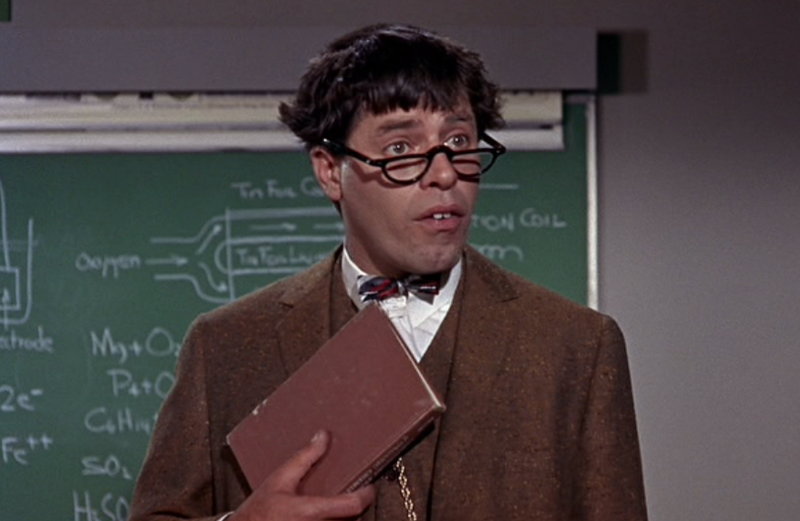 I'm afraid I don't have a lot to say about Jerry Lewis. For years he was little more than the telethon guy to me. I didn't study his films in my film history class in college, and I never went far out of my way to watch his movies on my own time. I have seen Nutty Professor, of course, and The King of Comedy, and I'm as curious as any film fan about The Day the Clown Cried (though at this point I suspect if it ever gets released, it'll probably be a letdown). Comedy remains an underappreciated art form in America. We laugh at the French for revering Lewis, but it could be they know something we don't. Anyway, yeah, legend. Duh. Finally, after what seems like forever, Star Trek: Discovery debuts this month, a program about tolerance and mutual respect for individuals different from us - a message that could not possibly come at a better time... only one has to wonder, in 2017 America, is anybody still listening? Nevertheless, I'll write about the premiere episode, the only episode I'll watch for quite awhile (still not gonna pay for the privilege). 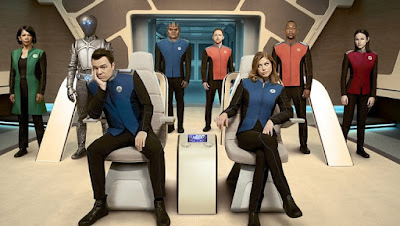 Perhaps I'll compare it with Seth MacFarlane's new show The Orville which, I hope, will be more than just Star Trek Lite. This month NYC is putting on an event in which everyone can pick a movie to watch from among five choices. 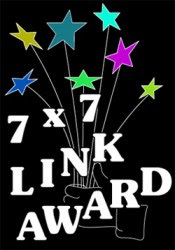 The winning entry will be shown in participating theaters and other venues around town. I will watch the movie, whichever one it is, and write about it here. It's a good idea. Maybe they'll do it every year. Ryan celebrates ten years of film blogging. Le talks about a movie that was Citizen Kane before Citizen Kane. Theresa goes deep in her analysis of the working women drama The Best of Everything. 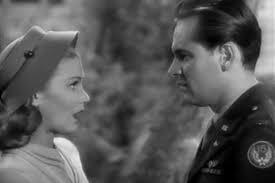 Fritzie debunks the myth that millennials are killing classic film. Raquel shows off all the fabulous books in her classic film book collection. In what has been an excruciating, at times horrific summer in NYC for public transportation, even Hollywood and Broadway stars are having a hard time getting around. Libraries in LA and New York now offer streaming movies - including Criterion editions! More discussion about the possibility of Andy Serkis for Best Actor. Pay attention - this guy talks super fast! These are among the last photos ever taken of Marilyn Monroe.